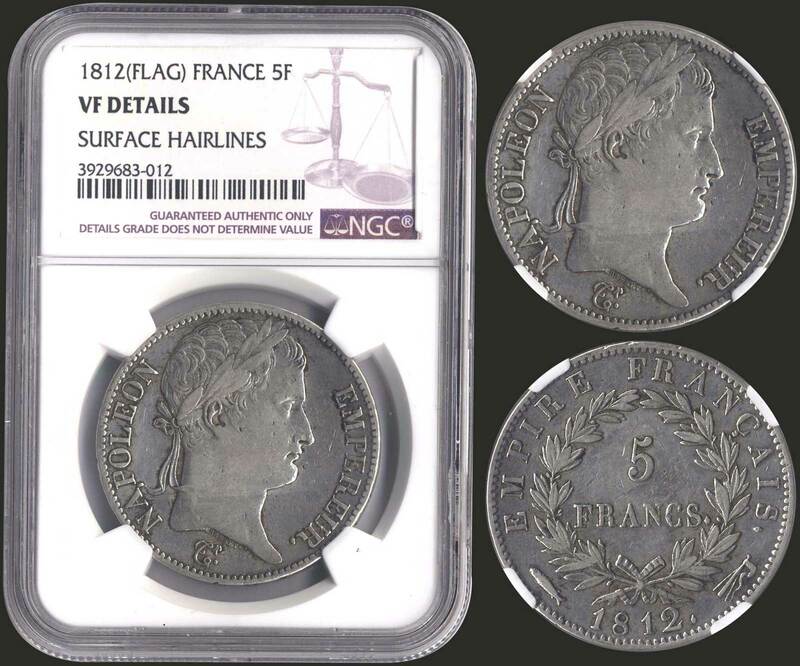 FRANCE: 5 Francs (1812) in silver (0,900). Obv: Laureate head. Rev: Denomination within wreath. Mint mark: Flag / Utrecht. Inside slab by NGC "VF DETAILS - SURFACE HAIRLINES". (KM 694.17).